I have been steadily working my way through wrapping all of our Christmas gifts. We have 28 people to buy for (immediate family – ourselves, parents, siblings, nieces and nephews, best friends), as I’ve said we come from a big family! We’ve pared it down some – we don’t buy for my brother and his wife anymore and eventually as my younger siblings grow older and start families of their own we will have to figure something else out. But for now we set a limit for each person and we work within our means. I love putting thought into gifts and wrapping them should be no exception! 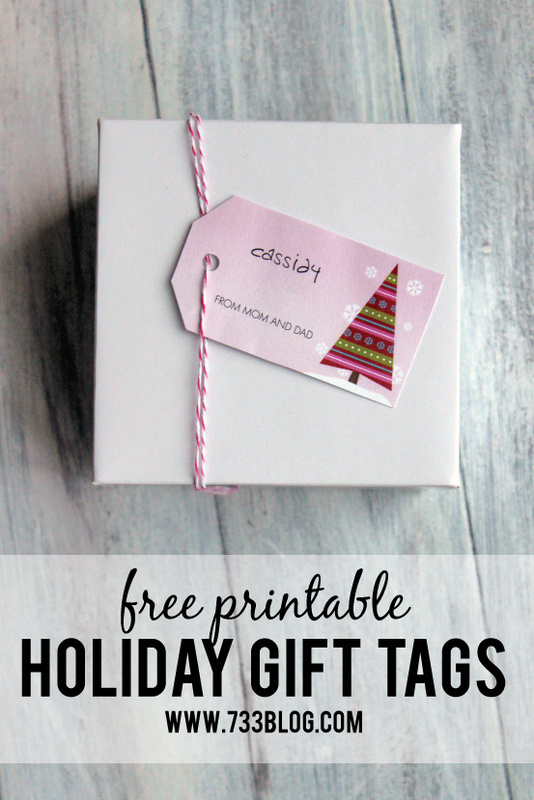 I hate paying for gift tags when I know I could easily make them myself with materials I have around the house. Usually I print tags onto address labels and stick them to the packages. I decided to try something a little more fancy and came up with these. 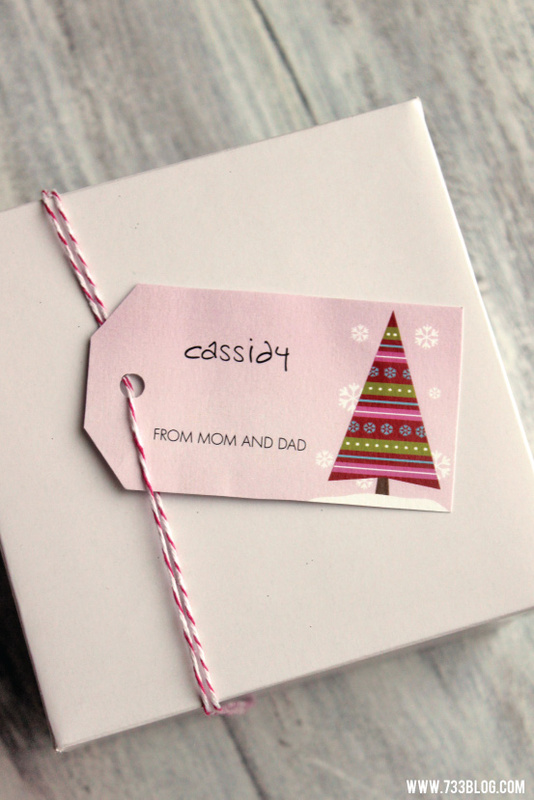 I printed the gift tags onto cardstock, cut out and hole punched. I added some bakers twine and tied around the package. These are set up so that you can type in the to and from names and then print out! Make sure to download and save to your computer prior to printing, as printing direct from the web may cause formatting issues. So cute! I’m always looking for new tag ideas, I just love them so much more than plain stickers! Those are cute can’t wait to see what else you’ve been working on. I would be interested in a free download! Those are really cute!